A sport injury can occur suddenly, causing severe, immediate pain and inability to put pressure on or move the affected area. Other injuries are sustained over a long period of time and worsens as more strain is put on the body. Soft tissue in the injured area can be compromised as fibers in the muscle, tendon or ligament are affected along with the blood vessels. Swelling, tenderness and pain are experienced as a result, ranging in severity. 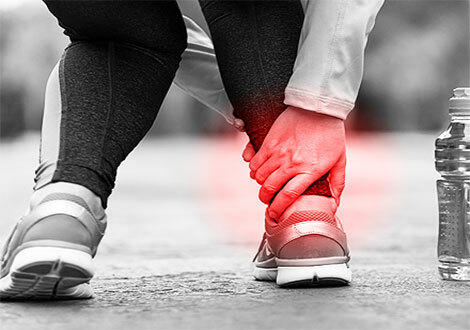 Treatment for sport injuries may include heat therapy, ice therapy, or massage. Here at Griffin Chiropractic Care, we will evaluate your medical history, condition and goals in order to create a treatment plan. If you have experienced a sport-related injury, please do not hesitate to give us a call.